Put pineapple in blender and pulse until almost, or completely, smooth. 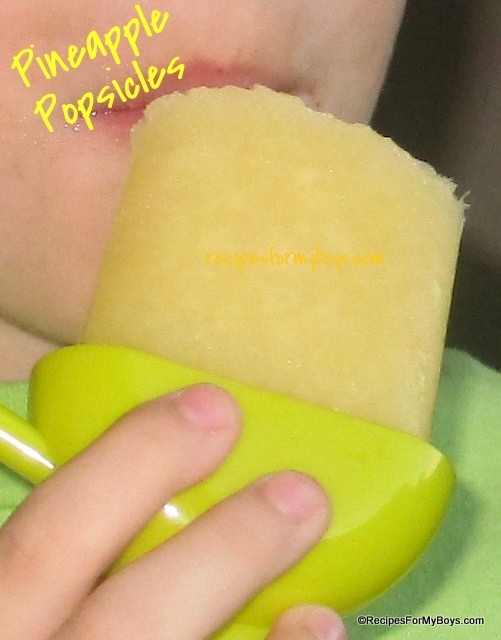 Pour into popsicle molds and add sticks. Alternately, pour pineapple into 5 oz paper cups, freeze until partially frozen, add sticks, return to freezer until hard. Enjoy!